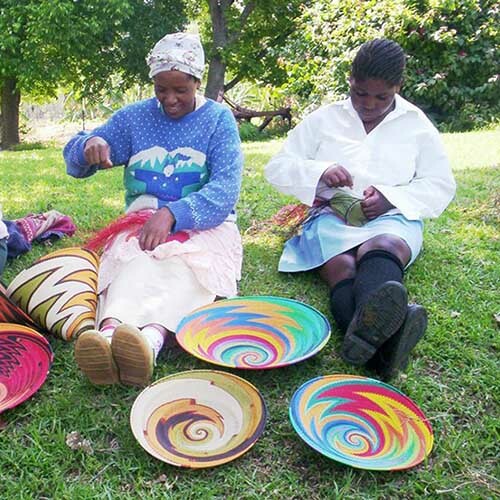 Vibrant baskets handwoven from telephone wire by Zulu artisans pair traditional techniques with modern materials. 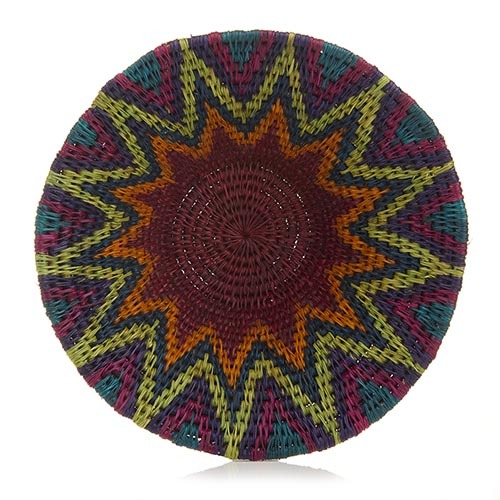 Rigidly constructed with sections of colorfully coated and shiny uncoated wire, these gorgeous platter-shaped baskets may be hand washed with warm water and soap. Patterns will vary. Mini measures 1 1/4"h x 8" dia; Small measures 1 1/2"h x 9" dia; Medium measures 2 1/4"h x 12" dia. Bridge for Africa is dedicated to promoting self-sufficiency and dignity for artisans in rural African communities. 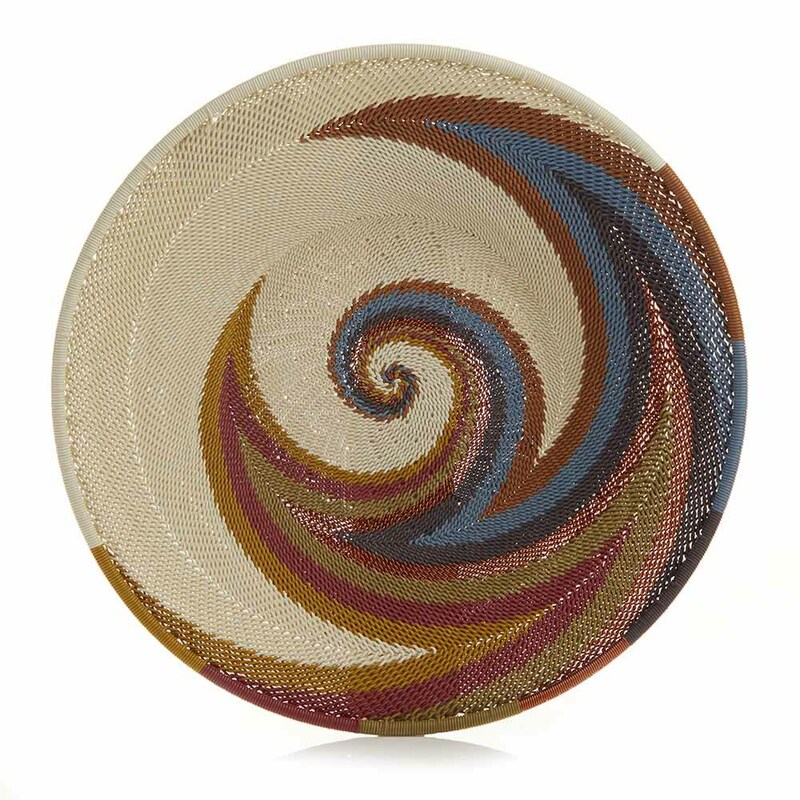 Your purchase promotes sustainable development in Africa by providing consistent work and fair wages to marginalized artisans, enabling them to shape their own lives and advance hope for future generations. 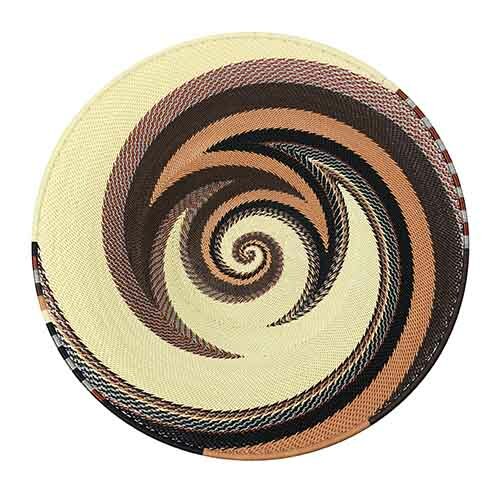 This is a sturdy, well-made basket that could be used everyday or displayed on a wall.